i'm a 21 years old brazilian man. two years ago i had long hair and had it cutt off. i was obsessed with growing it again. 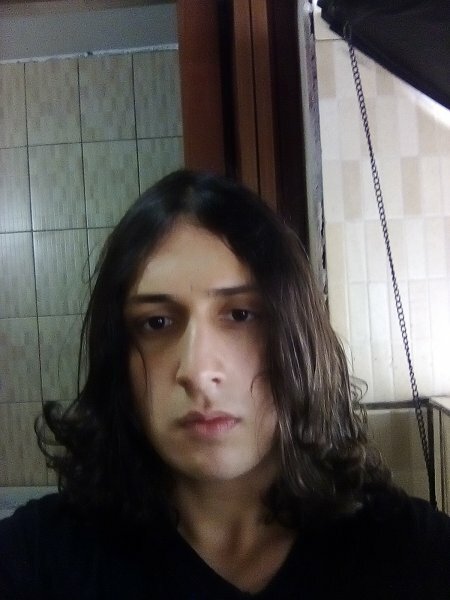 i'd think of it every day and feel unhappy with my looks, because my hair was too short, it looked like something was missing. the same night i had my hair cut off i had a dream in which i saw myself in some kind of mirror or glass and there was a reflection of me with my hair long as it used to be, then i woke up and saw there was no hair anymore, pretty shocking that was. i had a buzzcut and regret it, and it was for no reason, one day i just felt an urge to do it, chop it all off. but then again when i look back at it, it was all worthy, many things i did with my life wouldn't have happened wouldn't i have had my hair cut off, like me moving to another town, having a house of my own set up and ready to live and i got many stories to tell. now it's been 2 years of growing my hair and i intend on growing it until reaching its terminal lenght.